More companies are looking to invest in the Internet of Things (IoT). According to Gartner, enterprises will spend more on IoT than consumers over the next four years. This spending is for both generic devices that cross industries such as connected light bulbs as well as specialized connected equipment, including container ship tracking devices. These devices layered with the potential 13.5 billion consumer devices connecting in 2020 of which employees and customers will bring with them into the organization will require companies to implement an Internet of Things platform that will meet their growing needs. In looking for an Internet of Things platform that strategically aligns with the company’s current and future needs, company leaders will want to consider IoT platforms with these four attributes. IoT is in its infancy with only a fraction of devices connecting today as there will be in a few years. As more devices are layered onto the enterprise technology infrastructure, it will require a flexible, horizontal device management system that can seamlessly on-board and off-board devices. It can also provide authentication and authorization to ensure enhanced security protocols continue to be met. And, as needed, provide over-the-air updates and repairs in real-time. Device management within an horizontal platform will also organize and unify otherwise disparate machine-to-machine (M2M) devices and their potentially limitless number of end-points. It will also make over-the-air updates and repairs more efficient and more effective. An organization’s IoT ecosystem will be made up of a variety of devices – sensors, actuators, gateways – that will collect different types of data at different intervals. Some of this data needs to be monitored and processed in real-time. Other datasets, while valuable to the business, may not require such immediate processing. This variety in data management needs requires companies to look for Internet of Things platforms that can cleanly separate and manage datasets. This means data that offers no value to the company can be expunged, and data that has a longer shelf life can be collected and saved for processing at another time. In doing so, the system will be freed up to reliably attend to data that requires real-time oversight. As said earlier, IoT is in its infancy and is projected to achieve exponential growth. 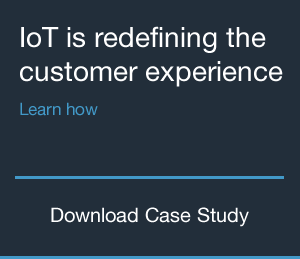 This demands companies look for an enterprise IoT solution that can scale to meet this growth. Companies will need a platform that not only can grow to handle the increasing number and variety of connected devices as well as being able to drive new revenue streams. Our connected world brings with it a number of risks to the enterprise. To stave off unauthorized devices or users accessing the company’s IT stack, the enterprise will need to embed IoT security at every level. This includes offering the highest level of encryption in data transmission as well as ensuring each device and gateway is explicitly authenticated. It also requires the IoT platform tightly integrates with the company’s identify platform to ensure users are appropriately authorized to access the system.